Members of the Center for Educational and Instructional Technology Research, Dr. Angie Lipschuetz (SAS Program Dean), Dr. Auslyn Nieto, Dr. Barbara Fedock, Dr. Kathleen Andrews, Dr. Lilia Santiague (SAS Doctoral Campus College Chair ) and Dr. Steven Watkins, along with Dr. Mansureh Kebritchi, chair of the center captured interest at the Association for Educational Communications and Technology conference in Indianapolis, Indiana, November 4-7, 2015 with 6 presentations. The center presentations focused on various cutting edge topics in the field of educational technology including online doctoral dissertation issues, faculty professional development, online education issues, practices for teaching culturally diverse online learners, empowering online students using interactive tools, and K-12 school policies' influences on schools' educational technology. Faculty prepared their research proposals in Feb 2015 through close collaboration with the center. It was a very successful, amazing experience for the center members to share their research results with scholars in the field, establish connection with researchers who share similar research interests from other higher education institutions, and learn about the latest research topics in the field of educational technology. We celebrate the achievements of the center members and plan for the next year CEITR presentations at 2016 AECT convention, Los Vegas. Until now, there was little evidence of importance ratings of mentoring competencies in the dissertation process in an online environment. Research identified the importance of mentor competencies based on mentors and learners’ perceptions are presented along with the relationship between the importance of mentor competencies as perceived by learners and mentors. The presentation audience will participate in discussion of how the competencies can be measured and utilized as the groundwork for application in faculty guidelines. Effective mentoring is an integral component of the doctoral dissertation process. Many studies have explored the triadic symbiosis of faculty mentoring skills, responsibilities, and values within the dyadic mentor-protégé relationship. However, few studies have substantively analyzed faculty views of the essential e-mentors’ characteristics crucial for mentoring online doctoral dissertations. This presentation clarifies online mentoring functions and faculty roles as archetypal mentors and examines whether the essential characteristics perceived by faculty participants matches the archetypal model. Many components of teaching and learning need to be changed in online education. Empirical studies were conducted for examining issues for developing online courses. However, few studies have synthesized the previously conducted studies, provided a combined overview on issues in delivering online courses, and compare them with the current issues in a large higher education institution. This presentation provides an overview about issues and strategies for developing online courses in a higher education institution. The higher education institutions need to serve culturally diverse learners to address the global demand for higher education. However, few studies have synthesized the previously conducted studies to identify strategies for teaching diverse learners. This presentation presents the results of a critical literature review related to the best strategies for teaching culturally diverse learners in online courses. Technological integration in online classrooms affects teaching and digital age students’ learning outcomes. Though researchers conducted empirical studies focused on online facilitation and learners, few conducted and synthesized a literature review on the challenges of how student empowerment affects leadership development in the online classroom. This presentation includes the findings of a comprehensive literature review on challenges, barriers, and issues of online teacher leadership and the development of digital age student leaders. The purpose of this presentation is to inform educators about the potential presence of politics in educational policy by providing a study's results that examined the Texas Tea Party influence in public education. The public educational process in Texas has always been a subject of manipulation by political movements. The perceived implications of the Tea Party movement on Texas school districts’ educational technology in the recent years will be presented to an audience. 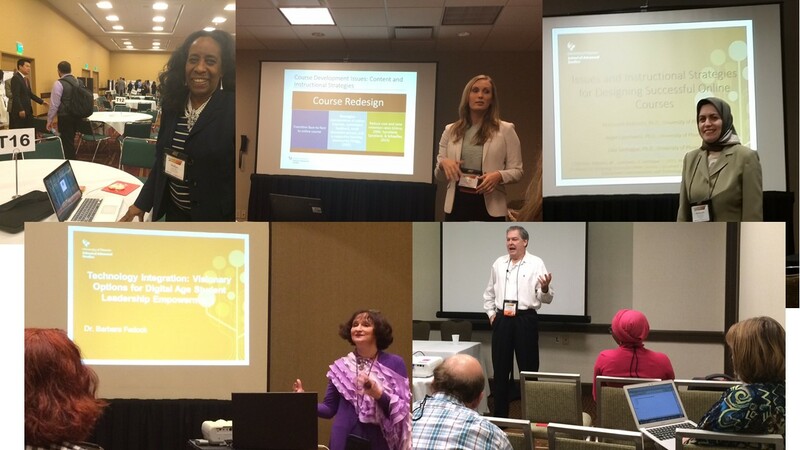 Colleagues, I wanted to share my wonderful experiences at the CEITR 2015 AECT Convention with everyone. I attended some excellent and beneficial presentations on technology programs, community services, and issues related to online facilitation. I met interesting and well-informed colleagues from other institutions and fields of technology that were very engaging and personable. I received excellent technical support when I was told that my presentation was moved to the main ballroom, which was not the case. I met a doctoral student from China who is struggling with many of the issues I presented in my presentation. We are corresponding and exchanging ideas. 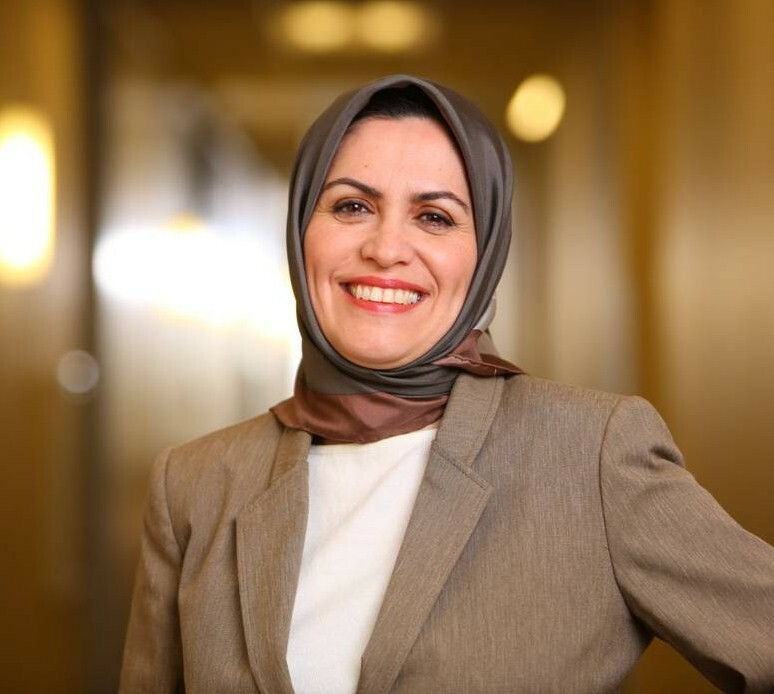 As part of her doctoral journey in a large university, she teaches technology courses in which she is younger than most of the students. I highly recommend the conference to others.